A card which needs no introduction and represents the finest in modern card commodities. A dead centered and ultra clean copy boasting four flawless corners and stunning surfaces throughout. Everything is where it should be in upholding the lofty grade. Stunning. 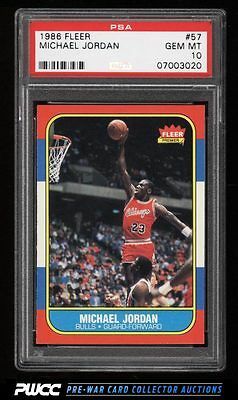 Part of a spectacular, high-grade run of '86 Fleer's on the auction block this month. One of nearly 20,000 cards, lots, and sets up for bid in our 7th Auction of 2016. Click on the link above to view the other PWCC auction lots.